Is it possible to fit in exercise when you travel? Here are a few ways to not only make it possible, but easy as well. The first thing you may want to do is pack everything you'd need for your workout, such as sneakers, workout clothes, music or a book (if you read while on treadmill, etc.). You at least stand a chance of getting a workout in if you have what you need. The next things you may want to pack are resistance bands. They accomplish the same thing as free weights yet are practically weightless and easily portable. If you don’t have any resistance bands, you can choose to do exercises which use your own body weight as resistance such as push ups, chair dips, crunches and squats. When done properly, those exercises work almost every body part without any equipment at all. Most hotels have gyms or fitness rooms with everything you’d need for a great workout. If you’d prefer working out in the privacy of your hotel room, many hotels now offer fitness equipment you can borrow during your stay. For your aerobic workout, you can always walk, jog or run outside. Besides typically having more free time when you travel, a new place offers opportunities for new sights to see. If you're traveling to a place conducive to sight seeing, take advantage of the extra walking you'll do. To show yourself how far you’ve walked, you can bring a pedometer to track your steps. If you're taking a beach vacation, walking, jogging or running on the beach provides a more intense workout than on a street or treadmill. That means that you can accomplish more in less time. If a beautiful beach scene doesn’t motivate you to workout, just think about how much better you’ll feel and look in your bathing suit! Cruises have so much more to offer than ever before. 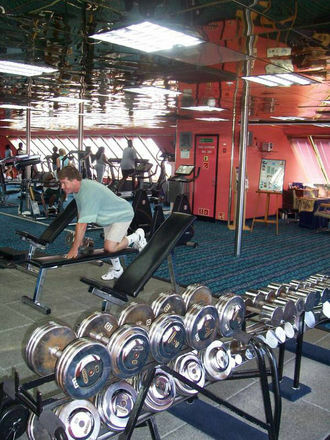 If you plan on going on a cruise, it’s great to know that most cruises now boast their work out facility as being as much of a draw as their buffets! You may even want to take advantage of fitness classes you normally may not have access to such as spinning, pilates, yoga or even pole dancing! You may even choose to go on a trip designed for a specific activity such as bike riding through the country, canoeing or hiking through exotic trails. With this type of trip, combining sightseeing and fitness makes activity seem effortless. Sometimes vacations offer an opportunity to be active in ways we may have enjoyed years ago. Maybe you used to jump rope, roller skate or ride your bike for fun. If you think you’re up for the physical mental and potentially embarrassing challenge, you may want to try some of these activities again! Finally, do the best you can and of course, don’t forget to drink water and put on sunscreen if you’re exercising outside. Strive for being active every day while away whether it's in the form of formal activity or an activity conducive to the trip. 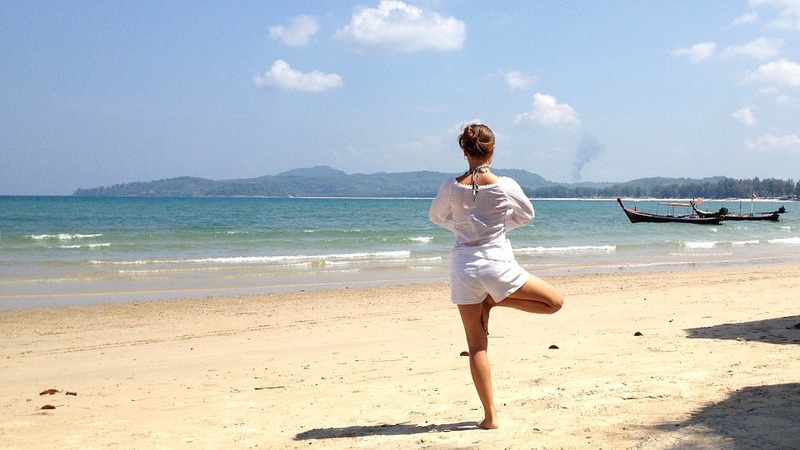 Vacations don’t have to mean time off from activity. Instead, you can use the time you have to exercise in ways you find fun, fresh and exciting. Debi Silber, MS, RD, WHC is a Registered Dietitian, Certified Personal Trainer, Whole Health Coach and the President of Lifestyle Fitness, Inc. For nearly 20 years, Debi’s worked exclusively with moms to encourage them to become fit, healthy and happy through gradual, lifestyle change. Debi’s also known as “The Mojo Coach” because she inspires and empowers overweight, overwhelmed and unfit moms to “get their mojo back!” For more information on the Lifestyle Fitness Program, please visit http://www.lifestylefitnessinc.com/ .